Italy is just one of the European locations PACK & SEND are experienced in making international shipments to. Our experienced team can tailor affordable and secure solutions to ship almost anything to and from places such as Rome, Florence, Venice, Naples and Milan. Whether you’re an individual who needs to send excess baggage back home, or a business who needs to make repeated commercial consignments, PACK & SEND can assist with sending goods to and from Italy with both standard and tailored solutions. PACK & SEND are experts in shipping anything from fragile antiques to larger freight items, including excess baggage, business goods, small parcels and documents. 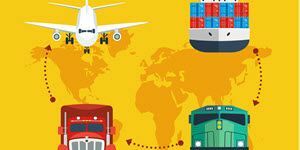 Our range of competitively priced international shipping, parcel and freight delivery services will meet the needs of anyone sending freight or parcels to and from Italy. Adelaide: ... eBay packing, posting, courier and shipping services.Computers and electronic equipment requiring ... for all your packing and shipping needs. Sydney, Eastern Suburbs: ... eBay packing, posting, courier and shipping services.Computers and electronic equipment requiring ... for all your packing and shipping needs. Sydney, Lower North Shore: ... eBay packing, posting, courier and shipping services.Computers and electronic equipment requiring ... for all your packing and shipping needs. Perth, Northern Suburbs: ... eBay packing, posting, courier and shipping services.Computers and electronic equipment requiring ... for all your packing and shipping needs. Brisbane, Eastern Suburbs: ... eBay packing, posting, courier and shipping services.Computers and electronic equipment requiring ... for all your packing and shipping needs. Brisbane, Outer Northern Suburbs: ... eBay packing, posting, courier and shipping services.Computers and electronic equipment requiring ... for all your packing and shipping needs. Sydney, Northern Suburbs: ... eBay packing, posting, courier and shipping services.Computers and electronic equipment requiring ... for all your packing and shipping needs. Regional NSW, Central Tablelands: ... eBay packing, posting, courier and shipping services.Computers and electronic equipment requiring ... for all your packing and shipping needs. Sydney, Parramatta: ... eBay packing, posting, courier and shipping services.Computers and electronic equipment requiring ... for all your packing and shipping needs. South Coast, Southern Highlands: ... eBay packing, posting, courier and shipping services.Computers and electronic equipment requiring ... for all your packing and shipping needs. Sydney, Sydney City: ... eBay packing, posting, courier and shipping services.Computers and electronic equipment requiring ... for all your packing and shipping needs. Regional NSW, Murray & Riverina: ... eBay packing, posting, courier and shipping services.Computers and electronic equipment requiring ... for all your packing and shipping needs. Sydney, Liverpool /Fairfield: ... eBay packing, posting, courier and shipping services.Computers and electronic equipment requiring ... for all your packing and shipping needs. South Coast, Wollongong & Illawarra: ... eBay packing, posting, courier and shipping services.Computers and electronic equipment requiring ... for all your packing and shipping needs.